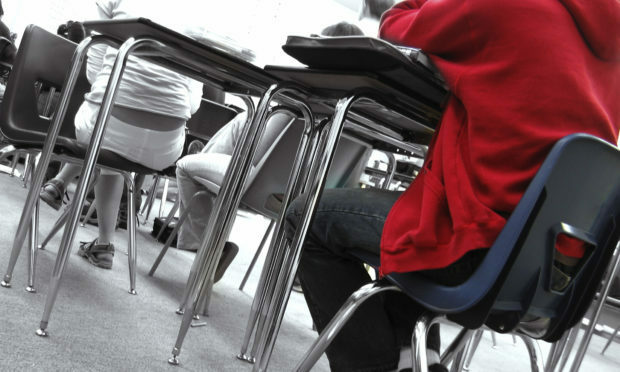 The first public consultation has taken place as Angus Council tries to tackle empty classrooms in its schools. The local authority is planning the long-term future of schools in the area as attendance numbers at 12 of the 53 primary school are below 50 percent occupancy, with two schools having no pupils at all. Tarfside primary school in Brechin is lying empty and Lethnot primary, also in Brechin, has been “mothballed” – a decision to temporarily close a school when the when the roll has fallen to zero. There is currently more than 2,950 empty places at Angus primary schools and 2,111 at the council’s eight secondaries. However, the council insists it is not looking to close schools but is seeking “input and ideas” from the community on their futures. The first in a series of public pre-consultation events took place at Monifieth Library. Council representatives were present to discuss issues and a questionnaire could be filled out for people to share their views on the issue. All material at the events is also available at the Angus Council website. Officials have stressed no schools have been earmarked for the axe at this stage but the start of the Angus Schools for the Future programme follows a report issued recently which revealed the scale of under-occupancy in local classrooms and parents have been warned that the “status quo” is not an option. There will be further public sessions throughout the month. A report based on the findings will be compiled and presented to the Children and Learning Committee in the new year. The committee will decide which proposals will proceed to formal consultations which will start in spring/summer 2018. An Angus Council spokeswoman said: “We want schools that are great places to learn and well-used community spaces. “We need suitable, sustainable, connected and accessible buildings with good outdoor spaces for learning, sport and play. “But we also need to make the best use of scarce resources – we need schools that are better and more sustainable and we need fewer of them. “Right now we have too many schools and places for the number of children and young people in the county. “Some can’t access good quality digital learning and some don’t offer learning with children of similar age or stage. Further consultation events will take place at: Philip Hall, Carnoustie; Birkhill primary school; St Andrews Church Hall, Arbroath; Brechin Community Campus; Montrose Town Hall, and Forfar Community Campus.